It can be so hard to know where to get your nails done. The first time that I went to get mine done professionally, I thought it was easy. I went to the nearest place that didn't cost a fortune, and thought that I was set. Oh, how wrong I was. Unfortunately the old mani pedi is a lot more complex than we may think, and many places on the highstreet could be damaging your nails. That's why I was so pleased to meet Nata of Nata Nails (Twitter // Facebook). 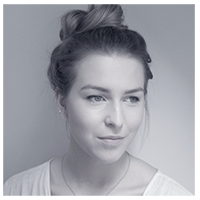 She was trained as a nail technician by international nail judges in Latvia, which has now shaped NataNails into a business which cares deeply about quality and, of course, making manicures an enjoyable experience! This was why I was thrilled when Nata offered to give me a gel manicure* - I knew that I was in safe hands! 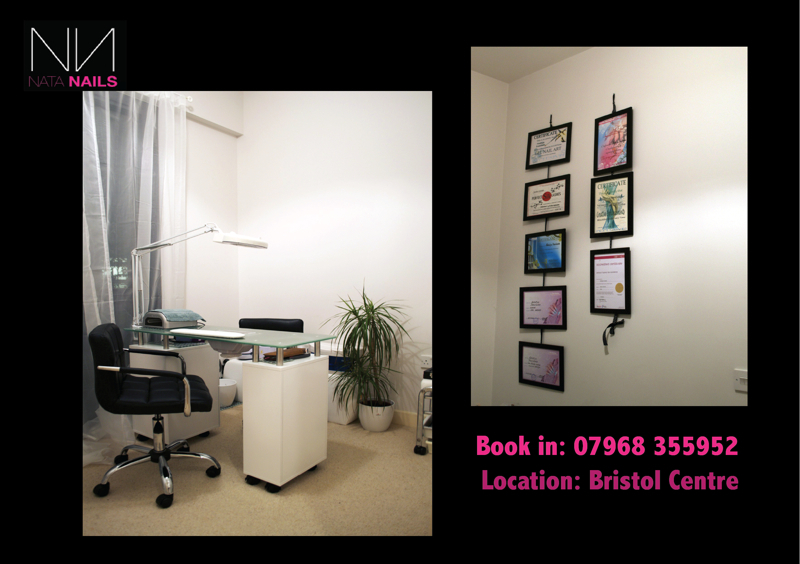 Nata works from a studio in her flat in the centre of Bristol, giving the whole experience a nicely relaxed vibe. It's great when you feel comfortable enough to have a chat while you're having your nails done, and this was exactly what happened with Nata. On top of this she was careful to talk me through everything that she was doing. She wanted to make sure I understood what each of the tools were for to put me at ease, as well as informing me of what the best practice is to take care of my nails. Top tip: if your nails are flakey, it's likely to be down to your diet. More protein for me! Unlike a lot of salons, Nata began by disinfecting my hands and nails. I was particularly reassured to see that the tools she used on my nails had been put through several rounds of cleaning, including a UV tank. All of this helps to avoid the spread of infection between clients - it's these little details that we might not think about, but are so important. Speaking of details, Nata also took a lot of time making sure that my cuticles were clean and neat. Not only is this important for hygiene, but she also informed me that if this isn't done regularly it can actually hinder the growth of your nail - who knew?! As I'm sure you can tell by the before and after shots, actually building the nail was not as simple as gluing on an extension and slapping on some polish. My nail had to be carefully buffed before we started so that the gel had something to stick to, however Nata did this gently so as to cause as little damage as possible to the nail. Once this was done a couple of layers of primers and bonders were needed before the actual gel tips could be built from scratch (punny!) over the nail. Now this was impressive to watch! A plastic template was placed at the end of my natural nail bed and gel was placed on top, bent, and then set to create as natural-looking a tip as possible. This was later filed down to the length and shape of my choice. Then came the fun bit, choosing the colours! If you thought that Nata's knowledge about nail care was impressive, then wait until you see her artistic skills. 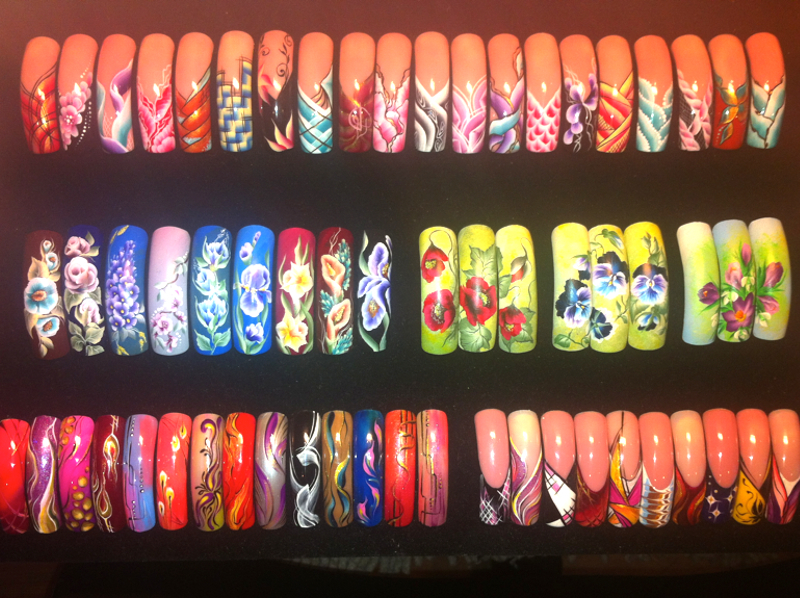 She showcases a range of possible designs, all of which can be custom painted onto a client's nails, depending on their taste. It may be lengthier than buying some stick on nails, but let's not kid ourselves; Boots just don't offer this unique detail! With spring in the air, I opted for a pastel purple tip with some coral and white swirls running through it (and a sprinkle of glitter!). Once the final coats had been applied and left to dry, the final result was beautiful. As Nata finished off with a nail oil and hand massage, I couldn't help but admire just how glossy and smooth my nails felt. 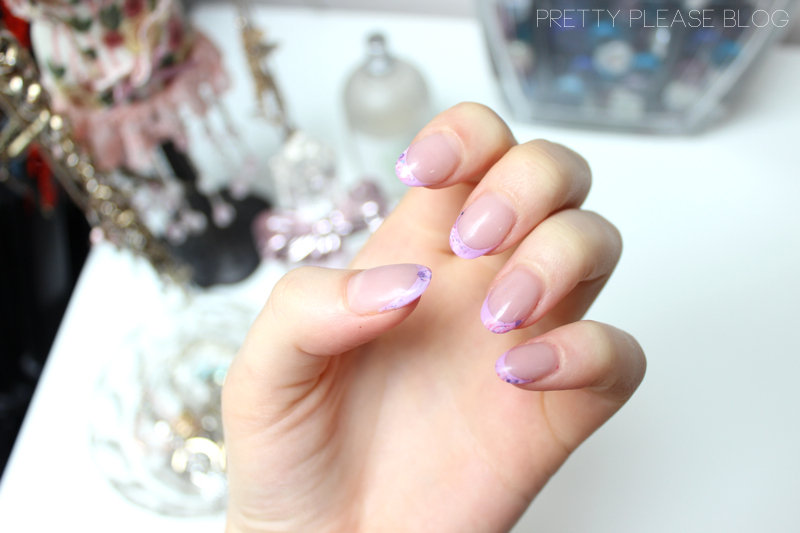 The tips reminded me of snow globes with their shiny finish and intricate glittery swirls. On a more practical note, I had no trouble post-manicure in going about my day as normal. My nails were longer than usual, but I didn't find myself fearing that they would break or snag. In fact in the four weeks that I kept the gel nails on - other than general wear and tear, and a little bubble in one of my nails which added to the snow globe effect - I had only only one real casualty. This might have had something to do with the huge chip that I made in the nail with a kitchen knife... oops! When it was time to get the nails removed, I was once again wowed by Nata's knowledge and attention to detail. I was used to having my nails soaked in acetone to remove gels/acrylics, but Nata used a different approach which left my nails in a much better condition. A tiny electric file was used initially to remove the very top of the gel (which tickled a little bit! ), and she then proceeded to file my nails by hand. This took longer than the electric file, but was the safest way to make sure that she didn't hit my natural nail bed. Many places simply would not take the time to ensure that my nails remained in optimum condition as I went away, but this was not the case with Nata. She even left the small amount of gel that could not be filed off safely, which will grow out eventually. Whilst my nails weren't as strong as before I had the gels on, they were nothing like as bad as previous manicures had left my nails. In fact, they seemed to have grown even more than they would do normally in four weeks. According to Nata, this is down to the protection that the gel gives them. Yet another reason to give this a go! She finished them off by buffing them smooth again, and adding a little clear polish. 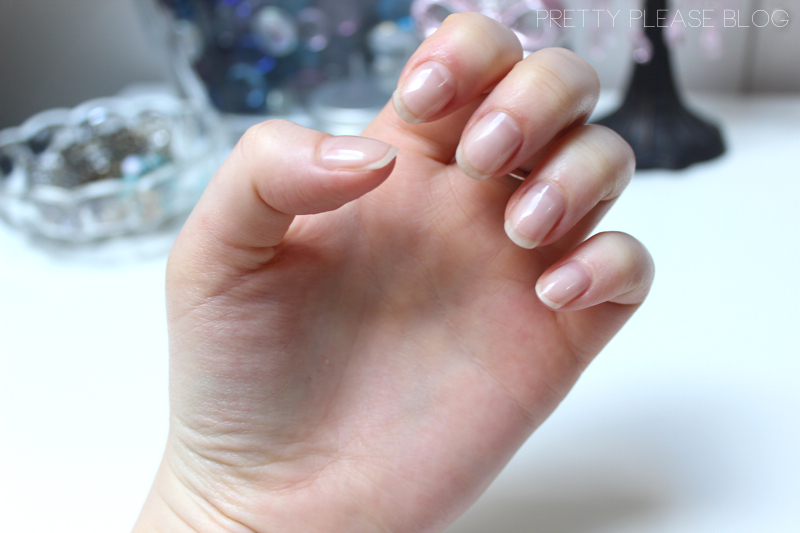 I couldn't stop looking at how pretty my naked nails looked all day long. If you are looking to treat yourself with a manicure this summer, Nata is but a phone call away and a ten minute walk away from Bristol Temple Meads train station! 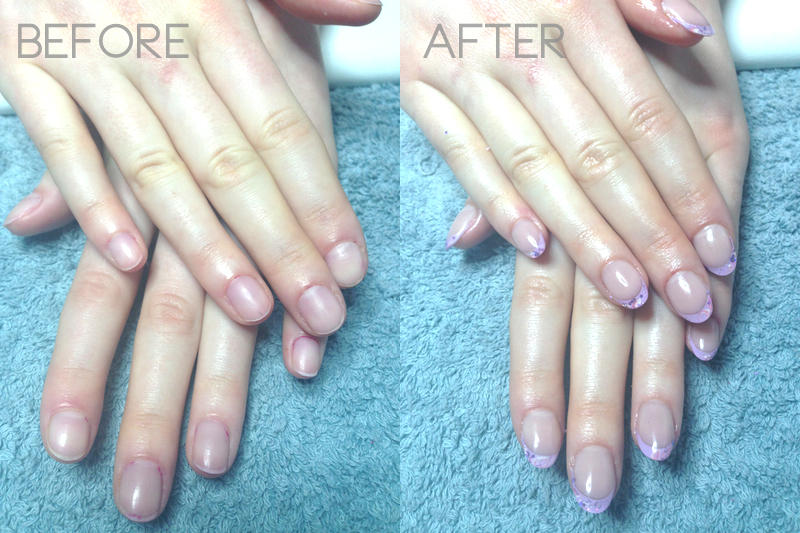 Alongside gel manicures, NataNails also provide regular manicures/pedicures, eyelash extensions and brow/lash tinting! If any of my Bristolian readers are headed away this summer, then be sure to check out Nata's Twitter and Facebook pages for some more examples of her work! Will you be going for a gel mani this summer?